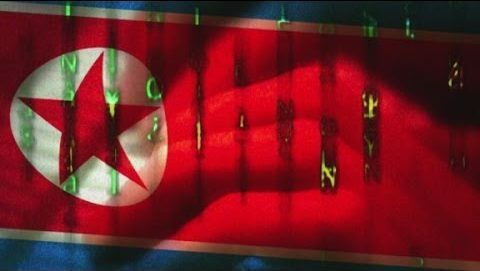 South Korean prosecutors have accused North Korea of cyber attacks after hackers gained access to emails of some 90 South Korean government officials and experts. A Sputnik International report says North Korean hackers stole emails and deciphered 56 passwords. The victims of the cyber attacks included officials of the foreign, defense and unification ministers. Investigations are underway to determine whether any confidential government information was stolen. The latest cyber attack is not the first that emanated from North Korea. In fact, a cyberattack made headlines last month when South Korean police reported North Korean hackers targeted computer systems owned by 160 large South Korean companies, government agencies and non-government organizations. The cyber attack has also infected some 140,000 computers with malware. In addition, South Korea believes that North Korea operates a 6,000-strong special hacker unit with the aim to disrupt South’s government and military operations. However, this allegation was strongly denied by North Korea. Aside from that, South Korea’s spy agency, the National Intelligence Service, allegedly claimed North Korea had stolen information from dozens of Seoul’s high-ranking government officials’ smartphones in March. South Korea-North Korea relations have been strained by long-standing differences and clashes. Tensions have escalated between the rival nations particularly when Pyongyang launched its fourth nuclear test explosion in January. Oblivious to criticism, Pyongyang launched a series of ballistic missile tests. The provocative actions of North Korea have drawn condemnation from the international community. The toughest sanctions from the UN bombarded the communist nation including hammering sanctions by countries like Japan, the US, and South Korea. Seoul has accused North’s hackers in recent years of a series of cyber attacks on its military, media websites, banks, nuclear plant and state agencies. The rival nations have been divided by the world’s most heavily fortified and guarded border since the Korean War ended in 1953 with a cease-fire.